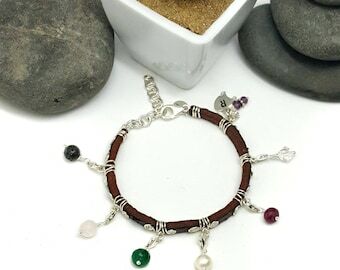 She'll love the 7th wedding anniversary gift you had handmade just for her! 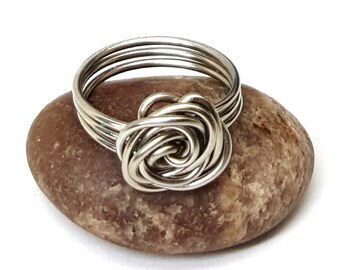 This fun little Rose Ring is an affordable way to say, "I love you, you're beautiful, thank you for being my wife/life partner". No matter how you say it, she will be pleased. This little ring is sure to become one of her favorites that she will wear often. 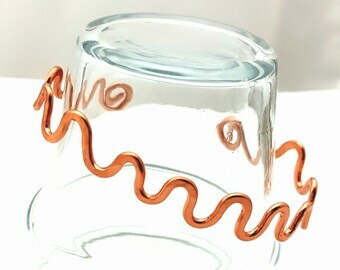 Each Rose Gold color Copper Rose Ring is custom made to your size and color specifications. Because it is made to order, it will be unique in appearance and will vary slightly from the ones pictured here. No two are exactly alike, due to the way they are created. 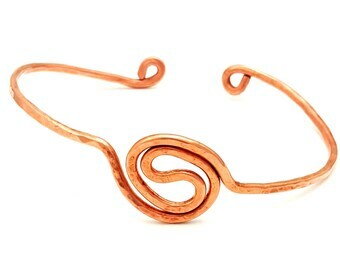 The Rose Gold color may fade over time, so you may want to consider a Rose Gold Filled option instead. All orders are sent in a white ribbon wrapped gift box and ships Free First-Class Domestic USPS. Instructions on how to measure your ring size at home. 2. Wrap the measuring tape or paper around the base of your finger. 3. Mark the spot where the measuring tape meets, or where the paper meets and measure the distance with your ruler. Use the following chart to determine what your ring size is. Half sizes will fall in between. Keep in mind that fingers are more swollen in the morning, and sizes may change from day to day. 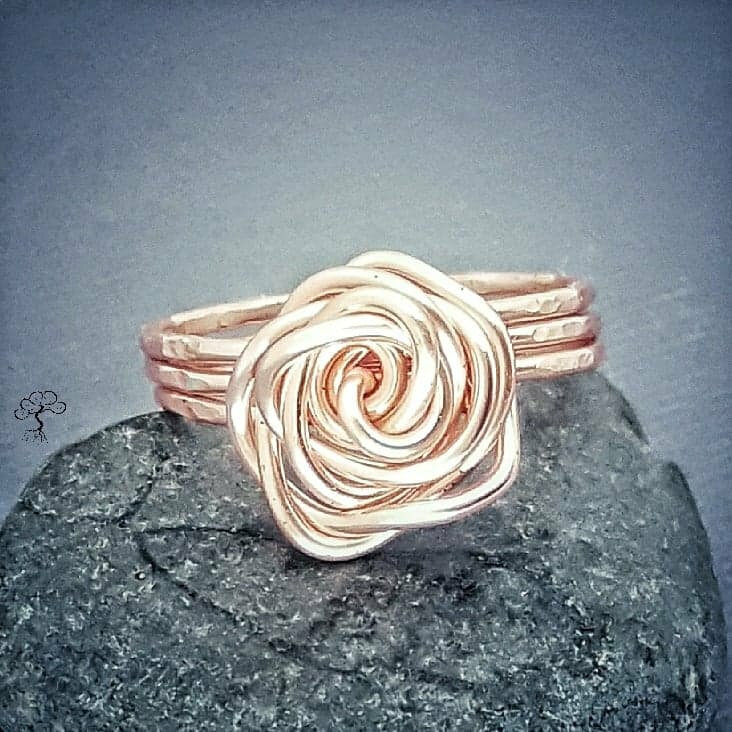 Wire Wrapped Copper Rose Rings Made to order In a Variety of Colors.